FUEL PUMP SERVICE KIT. 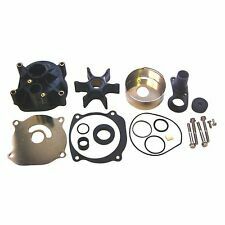 This pump kit fits the following engines AND MORE (hp / serial#). 30 40 50 2 CYL. 30 40 45 65 80 JET. MANY MANY OTHERS. 240 EFI M2. 300X PRO MAX. 175XR2 JET. Cross Reference #s: Item #: 18-7212 1395-97611 40610, 811357, 9-37304, 9179, 9377, 9645, 9725, 9761, 97611, 9803. 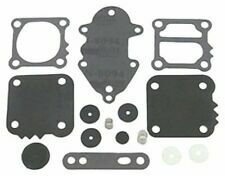 Carburetor Kit. 1 US Gallon/ 3.785 litres. 805320A1 01 SS SENDR KT-ALPH/BRV. 805320A03 00 ACT SENDR KT-ALPH/BRV. Alpha One Gen II. 17693A2 02 SS TRIM SENDER KIT. 96863A15 03 SS TRIM SENDER. 63115A12 04 SS TRIM SENDER ASSY. 88678A4 05 SS TRIM SENDER ASSY. Johnson Evinrude 394543. 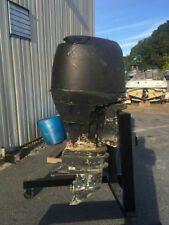 Johnson Evinrude 388268. Johnson Evinrude 385781. 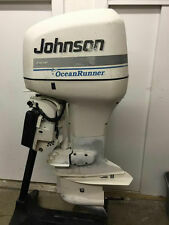 Johnson Evinrude 438556. Johnson Evinrude 20hp 1985-1989. 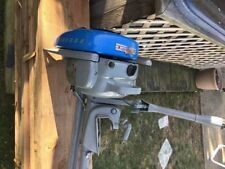 Johnson Evinrude 25hp 1976-1988. Johnson Evinrude 28hp 1985-1989. Johnson Evinrude 30hp 1985-1989. This is a Brand New Starter for Evinrude and Johnson Models: Evinrude Marine Outboard Engines 1966 E20 31.8ci 20HP 1967 E20 31.8ci 20HP 1968 E20 31.8ci 20HP 1969 E20 31.8ci 20HP 1970 E20 31. Yes this is a. OEM Parts for quality and perfect fit! Hydro-Stabilizer Stingray Hydrofoils Up to 200HP. Type: Hydro-Stabilizer (Hydrofoils). 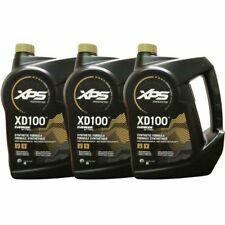 Who can pick up your order FOR USE on outboards up to 200 horsepower. A few more things to know Horsepower: Up to 200 HP. The following list is for reference only. Please check the thread size of your motor before ordering. Flywheel Puller with crank shaft protector (91-849154T1) and Lifting Ring (91-90455-1) for most 50HP and up Mercury, Mariner, Force and some Yamahas outboard motors with 1 1/2"-16 threads. ***This model has heavy duty, 5/8 - 18, Precision Grade 8 fine threads on the pusher bolt and the lifting ring. *** This Puller Set comes with a black oxide finish preventing corrosion to assure many years of service. Note: Will not work on 2005 Verado. Proudly manufactured and assembled in the United States. SUZUKI ECSTAR MARINE 4 CYCLE ENGINE OIL CHANGE KIT. 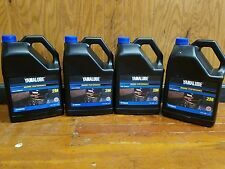 SUZUKI V6 OUTBOARD MARINE 4 CYCLE ENGINE OIL CHANGE KIT. 1 OEM SUZUKI Oil Filter 16510-96J10. ECSTAR V7000 Semi-Synthetic 10W-40 Marine Engine Oil is a proprietary blend of premium mineral oils and synthetic lubricants, with an additive profile designed to stand up to harsh conditions on-the-water. Includes new style housing with stainless steel liner, impeller and all required parts. Instructions included. See pictures for details. Commonly bought with 5001594 Water Pump Kit OEM Parts for quality and perfect fit! 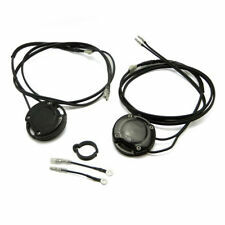 For more than 30 years, CDI Electronics® has engineered and manufactured top quality marine ignition products. CDI Electronics' products are designed and manufactured in the United States in Huntsville, Alabama. TH MARINE TRANSOM SUPPORT PLATE SET. PROTECTS TRANSOM BY DISTRIBUTING THE LOAD OF THE MOTOR AND PREVENTS BOLT HEADS FROM EMBEDDING. THIS SET INCLUDES BOTH THE UPPER AND THE LOWER PLATE, BOTH CAST ALUMINUM. 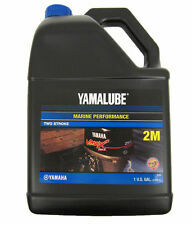 Fit for Yamaha/ Mariner /Johnson. Fit for Mariner 4 hp - 200 hp from 1990 on-wards. Fit for Johnson 4 hp - 200 hp. Fit for Yamaha 4 hp - 200 hp from 1988-1998. Fit for OMC 4 hp - 200 hp. If you buy the wrong products, plese inform us as soon as possible. Model: 18458Q4. Part Number: 18458Q4. Kit includes fuel water separator filter with probe. Make sure to check your serial numbers and know your motor's model year before ordering. Personal Watercraft Parts PWC. 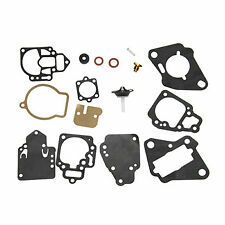 This kit is for WMC model carburetors. SIZE HP S/N # Carb Model. 6 HP 0A197112 - Up WMC-5,5A,5B,7,7A,17,17B,17C,18,18A,18B,19,19A. 8 HP 0A197112 - Up WMC-5,5A,5B,7,7A,17,17B,17C,18,18A,18B,19,19A. 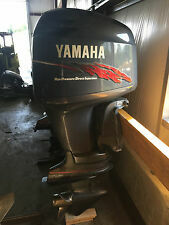 THIS FASTENER CONNECTS RIGGING CONDUIT TO A YAMAHA OUTBOARD, PROVIDING A CLEAN LOOK. FASTENER IS TWO-PIECES THAT SNAP TOGETHER AND ARE HELD IN PLACE WITH THE CLAMP. YAMAHA RIGGING FASTENER AND CLAMP SET. Description: It is a kill switch with safety tether Racing Safety & Durable, easy install Come off the vehicle and it will cut power/ignition Fits for most brand outboard engine motor, such as Yamaha, Honda, TOHATSU and ect. Tube Diameter: 5.5mm Tether Length: approx 150cm (Max) Tether Material: Fresh ABS & nylon fiber inside. Included in the Package: > 1 x kill switch > 1 x Safety tether Brand Unbranded Manufacturer Part Number Does Not Apply UPC Does not apply. Push to Choke Ignition Key Switch. 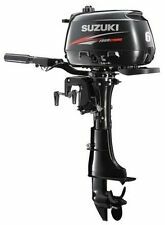 Fits Johnson Evinrude Outboard Motors. Push to Choke Function. Fits Johnson Evinrude Applications. For Magneto Ignition. 3 Position: Off - ON (Ignition) - Start. Water Splash Boot for Key Slot. Selecting the right type of engine for your vessel can mean a smoother ride and more enjoyable outboard boating experience. Choosing the proper components for your engine can ensure a lifetime of fun on the water. When you need to replace engine components, it is helpful to know what parts you need and how they work. What is an outboard engine? This type of engine is part of an outboard motor that is a boat propulsion system designed to attach to the stern. The engine is a self-contained internal combustion unit that can be added and removed as required. Outboard motors are the most common way to propel small watercraft. Their compact size and easy removal make repairs and replacements simple to accomplish. 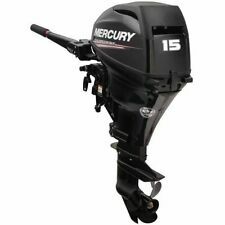 Evinrude, Yamaha, Mercury, Suzuki Marine, and Honda make a variety of outboard engines for the boating industry. How does an outboard engine run? Fuel (usually gasoline) is combusted in the outboard gas tank cylinders that then move the pistons back and forth in a four-stroke cycle just like your car engine (some simpler outboard motors, though, use a two-stroke cycle). The pistons then turn the crankshaft, and the direction of the motion changes to round and round. The crankshaft then moves the main driveshaft. The components, which are then spinning vertically, are converted to horizontal motion by a gearbox at the end of the driveshaft. The horizontally spinning gears power the propeller that moves the boat over the water. 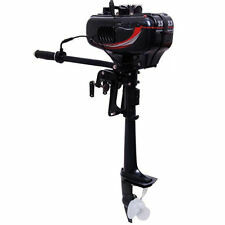 What components does an outboard boat motor have? Cylinder: This is where the fuel burns. The engines can have from two to eight cylinders. Pistons: Pistons move back and forth to drive the crankshaft. Carburetor: The carburetor is where the fuel meets air to create the explosive energy that gets the pistons moving. Fuel pump: This component moves fuel to the carburetor. Spark plugs: Spark plugs serve to ignite the fuel. Camshaft: This component opens and closes the valves to move fuel in and exhaust out. Driveshaft: This component transfers power from the crankshaft to the gears. Propellers: The propeller displaces the water to move the boat. Also called a prop, this component is usually made of aluminum or stainless steel and normally has three to four blades. Some high-power boats may have five to six blades.